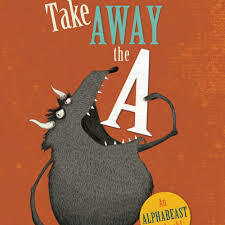 You SHOULD have a clever alphabet book category! When I started my blog, I pointed out that my least favorite kind of children’s books are wordless and alphabet books- and 2 years later I’ve profiled at least four or five of each. I stand corrected. Once Upon an Alphabet is one of my favorite books of this year ( http://mamalode.com/story/detail/ten-favorite-picture-books-of-2014 ), I look forward to your review! This one looks brilliant, great post! Thanks! I know what you mean about alphabet books. Nice to find some great ones. I loved reading Once Upon An Alphabet to my fourth graders. Oliver Jeffers is a favorite of mine. Have you read Stuck? I have a bit of a crush on Oliver Jeffers. Everything he creates is gold. Loved Stuck! I read The Way Back Home to my first graders (after we took the library rocket ship to the moon). Great book. I agree, Oliver Jeffers is fantastic. Review is coming.